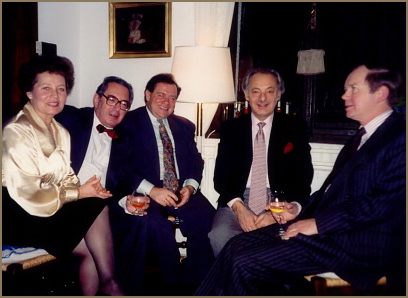 Susie Pauk, János Sebestyén, journalist Ivan Lipovecz, violinist György Pauk, and British ambassador Sir John Birch, in Budapest, mid 1990s. 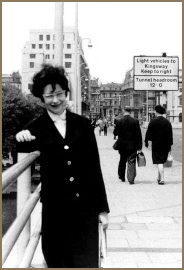 Harpsichordist Zuzana Růžičková in London, mid 1970s. 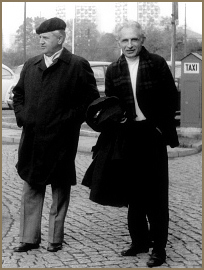 Vilmos Tátrai and György Konrád, members of the the Tátrai Quartet, in Dresden, mid 1970s. 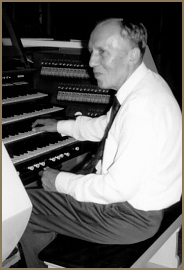 Organist Jiří Reinberger in Bratislava, early 1970s. 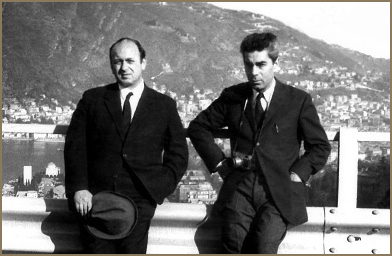 Dr. Andew Janovits, visiting from South Africa, with János Sebestyén, late 1960s (left); the two mafioso: Paul Déry and Thomas Gallia, producer and engineer for dozens of Sebestyén's recordings, on the strada, late 1960s (above). 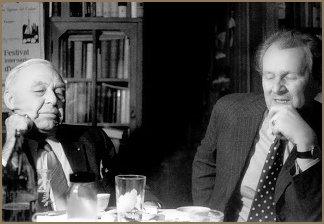 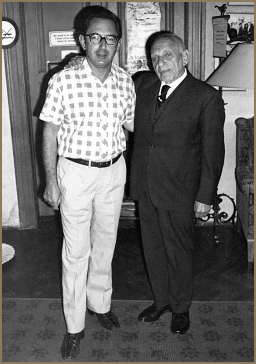 Conductor Carl Garaguly and Mihály Meixner of the Hungarian Radio at Sebestyén's home, early 1970s. 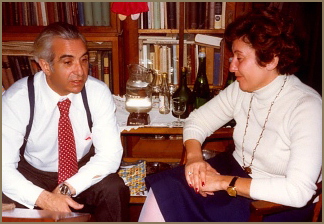 Bulgarian conductor and composer Konstantin Iliev with Judit Makó at Sebestyén's home, 1979. 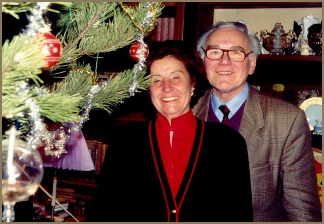 Sebestyén's Christmas tree, Judit Makó and Steinway representative Paul Gerstbauer, early 1990s. 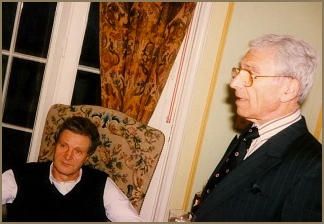 János Sebestyén with György Czigány, poet and former artistic director for Hungarian television, at Sebestyén's piano, early 1990s. 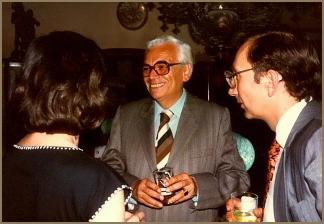 Canadian ambassador Dorothy Armstrong, actor Róbert Rátonyi, and diplomat Sándor Mátyus, at Sebestyén's home, early 1980s. 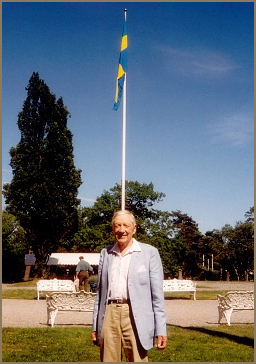 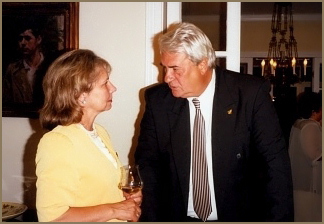 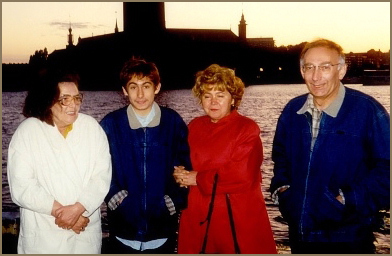 Mária Hegyessy, long-time friend of Sebestyén's, with ambassador Sándor Mátyus, his wife Ágnes and son Sándor, in Stockholm, mid 1990s (above); humanitarian and diplomat Per Anger in Saltsjöbaden, Sweden, mid 1990s (right). 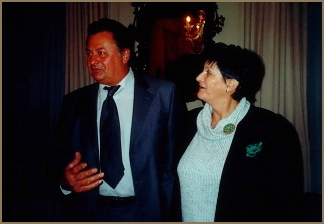 Canadian ambassador Marta Moszcienska and Málev captain József Somogyvári in Budapest, 2002. 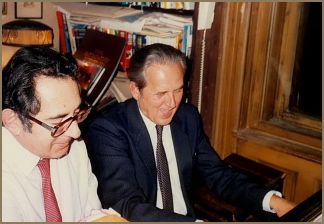 Russian ambassador Ivan Aboimov and Otto Quittner, founder of Qualiton Imports, in Budapest, mid 1990s. 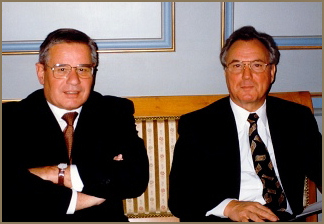 Hungarian ambassador Pál Gresznaryk and Swiss ambassador Paul Wipfli in Bern, mid 1990s. 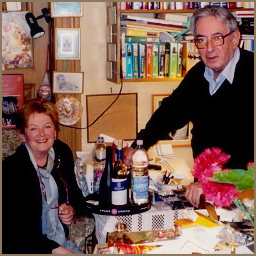 Actors József P. Kovács and Judit Merényi, contributors to many of Sebestyén's radio programs, late 1990s. 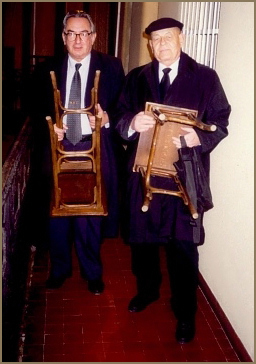 Tables are coming... János Sebestyén and graphic artist János Kass, 2000 (left); piano lesson for ambassador Paul Wipfli from István Lantos, Sebestyén's partner at the piano and organ for more than twenty years, in Belgrade, 1998 (above). 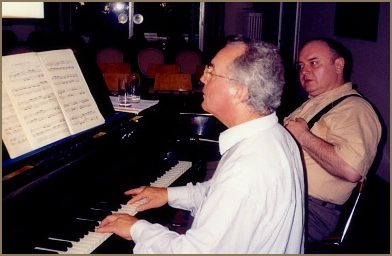 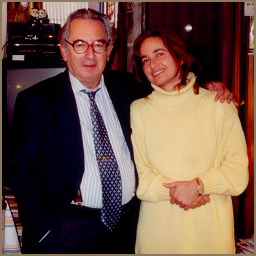 János Sebestyén with his former student, harpsichordist Ágnes Várallyay, 2001. 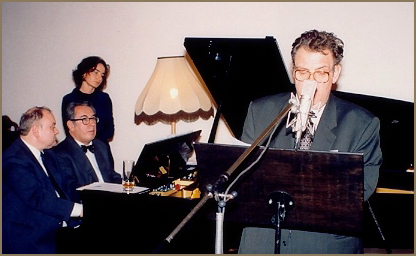 Dr. Judit Hidasi, expert on languages and communication, with János Sebestyén, 2006.
and István Lantos at the piano with Sebestyén. 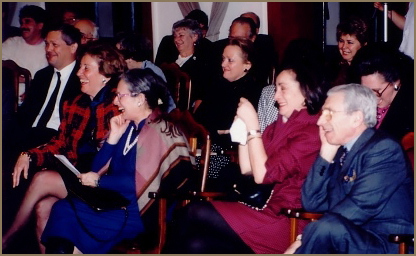 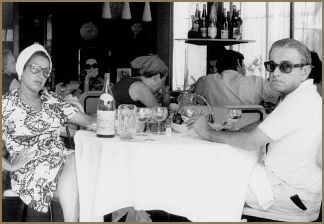 Judith and Otto Quittner, and Mária Hegyessy.